I’ve always been fascinated by mental illness and disorders, and that’s probably why I earned a Master’s degree in Counseling Psychology. 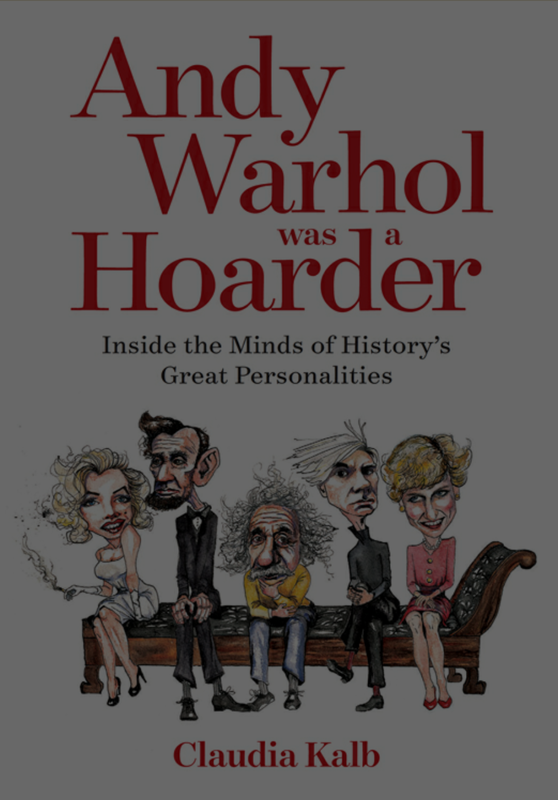 In the book, Andy Warhol was a Hoarder, author Claudia Kalb examined various historical figures such as Abraham Lincoln, George Gershwin and Howard Hughes and “diagnosed” their mental illnesses and psychological disorders. I added the quotes to “diagnosed” since Ms Kalb doesn’t have a master’s degree or PhD in Psychology nor is she a medical doctor. However, her comprehensive review of historical data presents good arguments that she is correct. In each chapter, she addresses a different person and presents a case study for why she believes that person has a particular disorder or illness. Some of the cases are very obvious, like assigning alcohol addiction to Betty Ford or bulimia to Princess Diana, but others are more nuanced, like her belief that architect Frank Lloyd Wright had a narcissistic personality disorder. After describing each illness or disorder, Kalb also discusses their symptoms and also presents treatment plans. Though Andy Warhol was a Hoarder sounds like a dry textbook, it was fascinating to read how these well-known people had their struggles and perhaps, became better people because of them, especially since they all, with the exception of Princess Diana, lived before pharmacological treatment options existed. For example, Kalb believes that Abraham Lincoln suffered from clinical depression. Since antidepressants weren’t an option, I wondered if his depression led to his compassion, empathy and resolve to end slavery. If you are at all interested in Psychology, Andy Warhol was a Hoarder is a fascinating read!